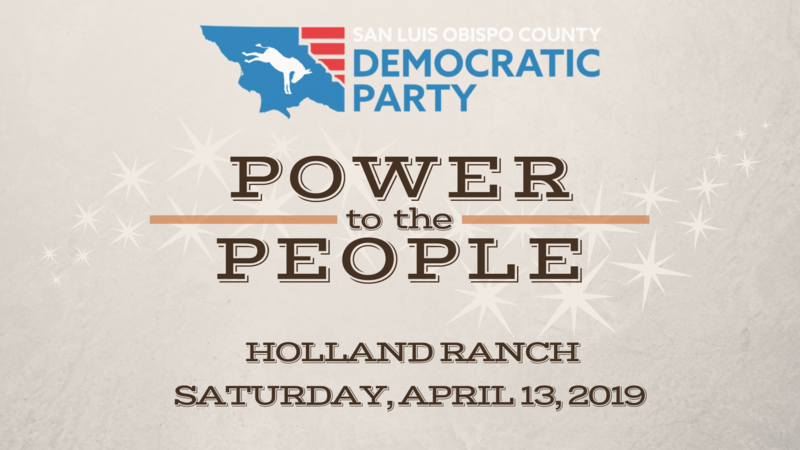 Join the San Luis Obispo Democratic Party for our biggest fundraiser of the year! Every year we gather together to celebrate all that we have accomplished as a party, recognize Democrats getting work done locally, and get in gear for the upcoming election season. This year is especially critical as we are heading into an early primary election in March 2020. A good time is had by all with great food, great wine, and even greater people. Our goal is to make this an inclusive event. Please contact us directly if cost is a significant barrier and you are not able to volunteer.